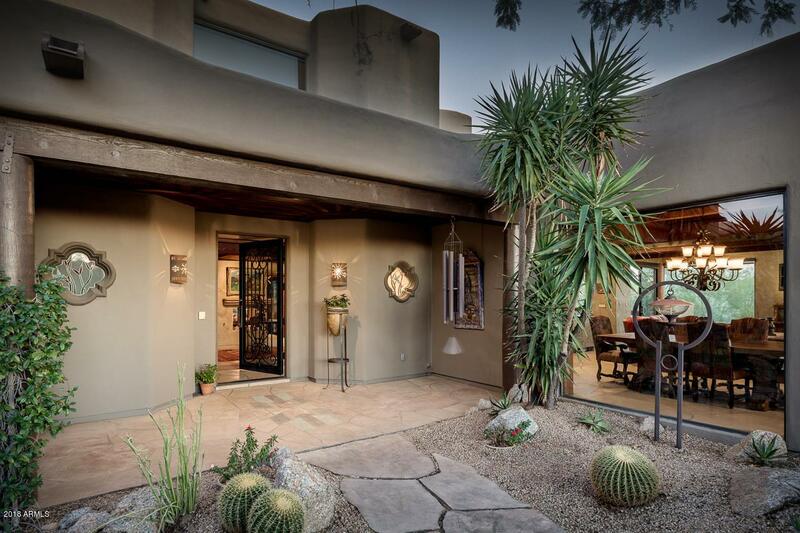 The true flavor of the southwest is created in this wonderful Hacienda style home. 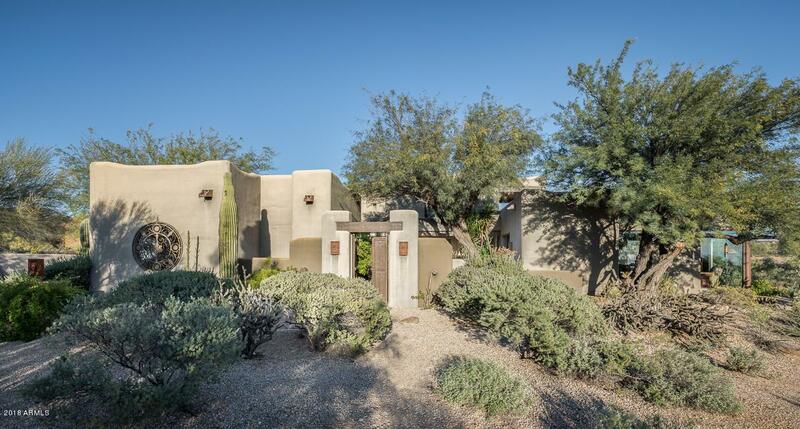 As you arrive at the home, the rustic courtyard gate greets you with that warm southwest flair. 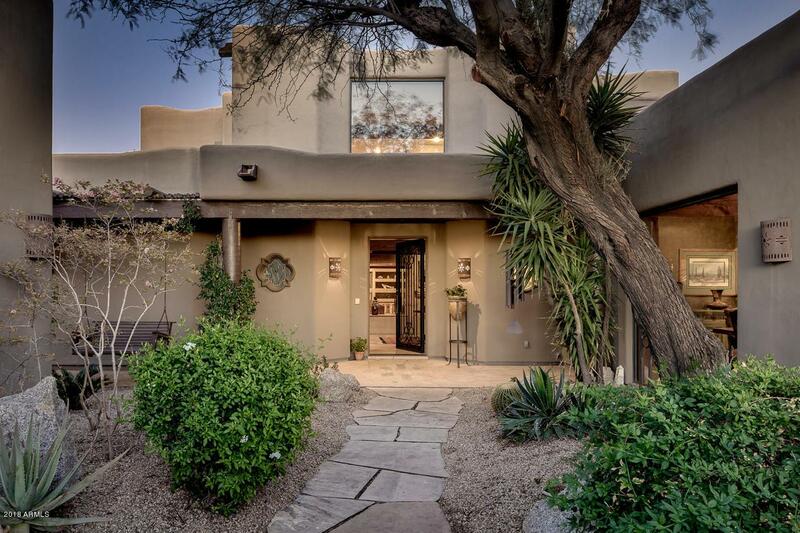 From the moment you step into the entry you feel the warmth of this spectacular home. Three bedrooms and an office in the main house with a charming detached casita await your guest. 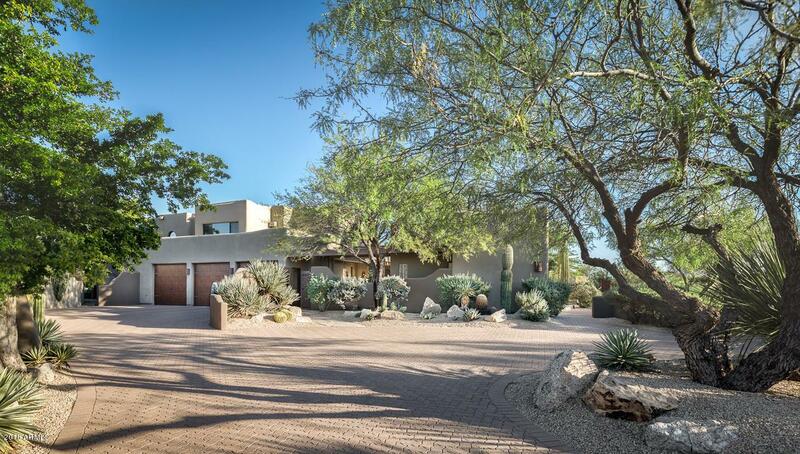 Built on a large corner lot backing to the second hole of the Renegade course at Desert Mountain. Floor to ceiling glass windows enhance the view of the golf course from many of the rooms. Rockwater falls flowing in the pool create a relaxing atmosphere sitting pool side. The open floor plan provides two family living areas to enjoy while entertaining guests.